Leveraging on our huge industry experience, we are rendering Garden Soil Engineering Consultant Services. 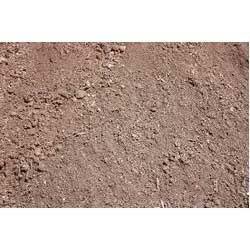 In this service, our experts test the quality of garden soil. We render this service under the supervision of our adept professionals using the contemporary techniques and testing equipments in tandem with set industry standards. Our provided service is highly cherished among our clients due to its accuracy, timely execution and reliability. Moreover, this service can be availed by our prestigious patrons from us at rock bottom prices. Established in the year 1995, at Vadodara (Gujarat, India), we “Laxmi Trading” are leading trader and supplier of Paver Block and Construction Soil. Our offered product range is procured from dependable vendors of the industry. These products are processed as per the defined quality norms using advanced processing technology under the guidance of quality controllers at vendors end. The soil range is appreciated due to free-flowing, even particles and optimum resilience. In order to cater diverse requirements of our customers in efficient manner, we provide these products in different specifications at reasonable prices. Moreover, we also render Excavation Service, RCC Works, Construction Civil Engineering Work, Road Construction Work, CB Job Work, Paver Block Fitting Services, etc.